I have been wanting a juicer for some time and got one for Christmas. And thought I would share some thoughts. While we do not use juicing everyday or for all our fruit and veggies we are trying to find a balance with juicing and still eating the fiber of whole fruit and veggies. People juice for lots of reason but main reason are that it is easier for your body to abosrb the nurtiants in the juice as oppossed to the whole food. Here is an article from the Mayo clinic about Juicing Here and here is another source of information. One thing we have really been enjoying in freezing our juice and adding it to smoothies. 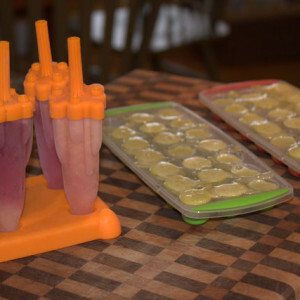 We still use whole fruit and spinach but these frozen juice cubs help make the smoothie really cold and icy and a way to add extra nutrients of fruits and vegetables. One part of this I am really enjoying is using parts of our fruit and vegetables that we don't eat and we eat a LOT of fruit and veggies in the course of the day. 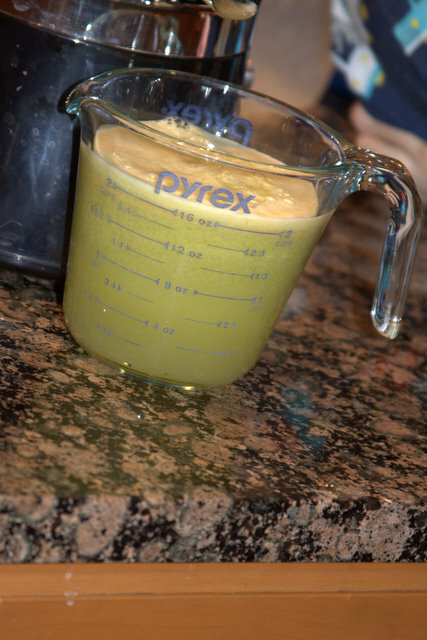 I save the apple and pear peels and cores and ends of the carrots, and celery etc from the day then at night juice these parts that I would be normally tossing out. I also add red cabbage to the mix often, and I juice some super sweet kiwis which is not a fruit my family will normally eat. 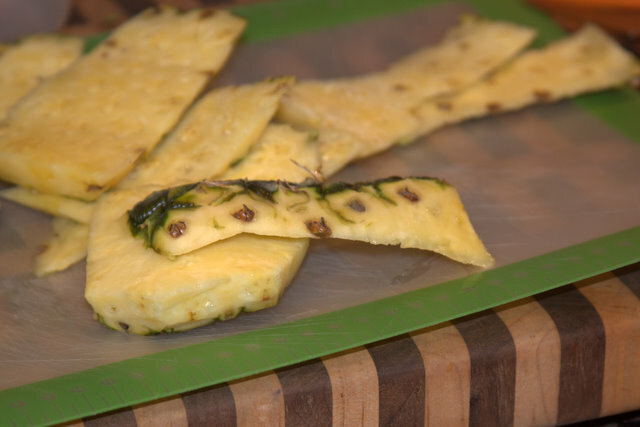 Here is an example, we LOVE fresh pineapple and feel like we throw A LOT away so now we juice what we would normally throw out. First take the top and bottom off then I take a very thin layer of the peel. 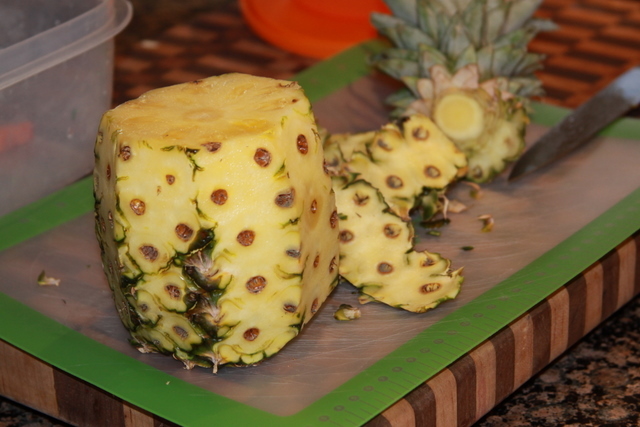 Then I go back and take another thin layer off to juice because no one in my family will eat pineapple if there is ANY rid or brown knots on it. 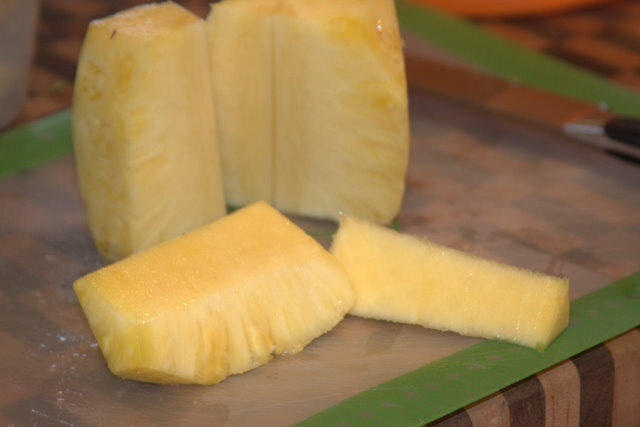 Then I quarter the fruit and cut the core out to juice. Then put it through the juicer. On this day we also put threw 3 kiwis, some celery, carrots, and a couple apple peels and cores. So Here is our goodness we got out. 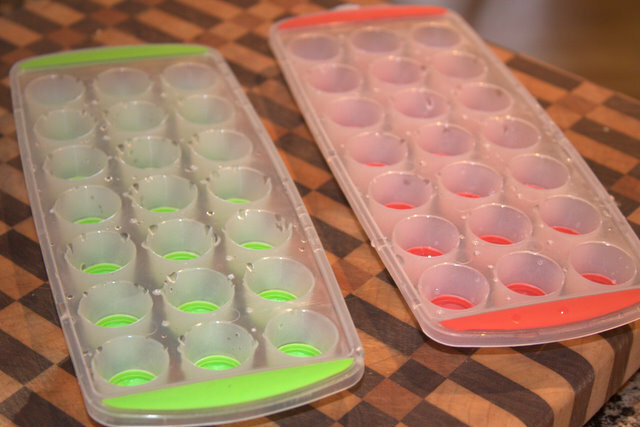 Then we put what we don't drink right away (juiced juice does not keep well) we put in these handy ice trays and/ or in Popsicles for my son. 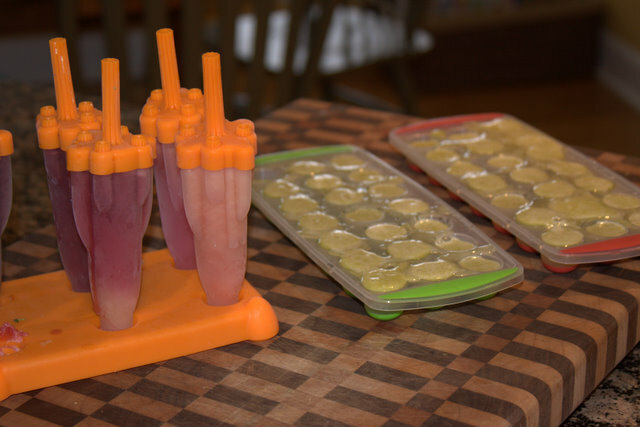 Then once they have frozen I put these juice ice cubs in a Ziploc bag in the freezer for smoothies. The juicer on the left is what I have and it is fine, not great but it is a great starter juicer for me to see how much we actually use it. The one on teh right is what I would LOVE to have if budget was not an issue. 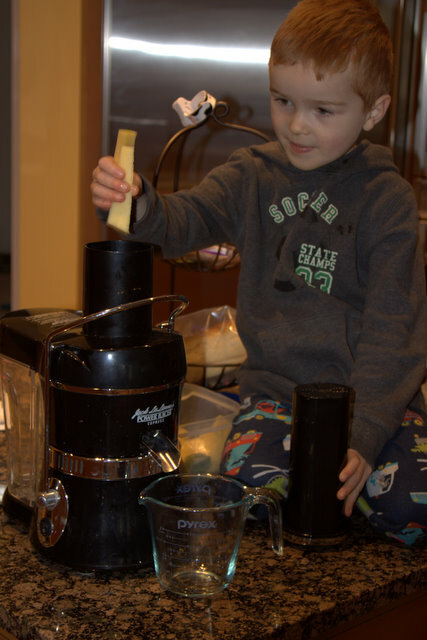 From my research Breville brand is the best when it comes to juicers and they do have them at several price points. This post is linked up at Young Living.